Ramirez has impressive numbers. He has 555 home runs for his career. He was on the Boston Red Sox both times that team made it to the World Series and won championships. He was the World Series MVP in 2004. He has been an American League All Star an impressive 12 times and has notched nine Silver Slugger awards. Ramirez’s overall batting average stands at a remarkable .312. He also has 2,574 overall hits and 1,831 RBI. By most standards, those numbers should make Ramirez wanted and coveted by any team in any league. Except that Ramirez is also known for bringing trouble. For example, in 2008 he got into a very heated confrontation with one of his own teammates, Kevin Youkilis. It was speculated that it was over the fact Youkilis felt Ramirez responded slowly to a benches-clearing brawl just two innings earlier. Ramirez has also had trouble in his personal life. In September of 2011, Ramirez was arrested in his home on charges of domestic battery. The charges were later dismissed, but his reputation for being "troubled" grew. Then came the accusations that he was using performance-enhancing drugs. The first test came up positive in April of 2011. He was tested again, and the test again came up positive. Ramirez dropped his appeals and declared that he would retire. That lasted until December of 2011 when it was rumored he would play winter ball in the Dominican Republic, and when that fell through he asked for reinstatement into the big leagues. 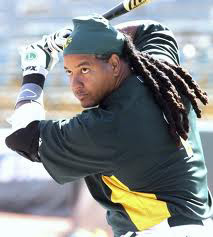 He was soon signed by the Oakland As, a team desperately looking for power hitting. He has to serve a 50-game suspension before he can officially play for the team. He has now asked to be released from his Oakland As contract, in hopes of finding a new team that will allow him to play. 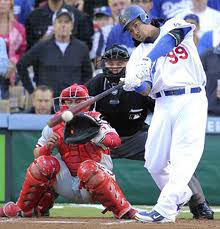 His suspension ended as of May 30, 2012, and now fans are just wondering, will he play? So far, the baseball fans of the world are still waiting to see what happens. And, if it happens, will be redeem himself by proving that he is worth the risk the As have taken by signing him?